Journey and Quest the names of the Azamara cruise ships say it all! Azamara cruises know that a superlative on-board experience can be enhanced by a choice of interesting destinations, adding an extra dimension of exploration and discovery to their luxurious offer. Small is definitely beautiful where the Azamara cruise experience is concerned. Of course, Azamara cruises visit the famous places that are favourites on the cruise circuits, but the two ships in the fleet, the Azamara Journey and Azamara Quest, are small enough to put in at places passengers on larger vessels can only dream about visiting. And Azamara cruises makes sure that their destinations are as captivating as the ships themselves, sailing around Asia, with stops in fascinating cities like Hong Kong, Bangkok and Beijing, or the Caribbean, visiting the US Virgin Islands, St. Lucia and Dominica. Azamara cruises also open up Central and South America for its passengers, calling at evocative destinations like Cartagena in Columbia or San Juan del Sur in Nicaragua. Recently Azamara cruises introduced a 10-night cruise from San Diego around the Sea of Cortez, with an itinerary including five new ports of call and in Mexico, there's Mazatlan, for example, a jumping-off point for the Sierra Madre mountains, and Guaymas, a new arrival on the cruise destination scene. Sea, sunshine, spectacular views, history and culture an irresistible combination! And for both Azamara Quest Cruises and Azamara Journey Cruises, exploration also means an emphasis on the personal. The Azamara Quest and Azamara Journey are a little smaller than most mega-cruise vessels, and with fewer than 700 guests it means passengers don't get lost in the crowd. Anyone stepping on board an Azamara cruise vessel can be sure of being treated as a valued guest if it's cosseting you want, then an Azamara cruise is the right choice for you! There's elegant accommodation, a complimentary butler service, excellent dining, a pool, gym and top-class wellness centre. And passengers can stimulate their mind, too on an Azamara cruise, with spellbinding lectures and even computer lessons! And passengers can stimulate their mind, too, with spellbinding lectures and even computer lessons! 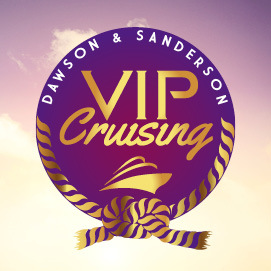 Not forgetting the shows, dancing and live music that round off a truly exceptional cruise. To enquire about Azamara Cruises please contact our cruise specialist on 0800 542 9021 or enquire by email. 2 Pages. Showing items 1 to 6 of 7.